The popularity of archery continues to grow. This means that more and more beginners are taking up this great sport. Whether they choose to just shoot targets or they want to take their skills out into the forest, they will need the best beginner recurve bow. Fortunately, with the growing market, manufacturers are appealing to the newest archers. 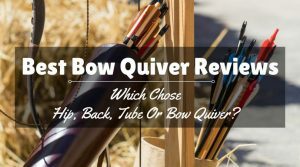 There are plenty of affordably priced recurve bows that are easy to shoot with precision and accuracy. Many of them are easy to store and lightweight, making them easy to transport, too. 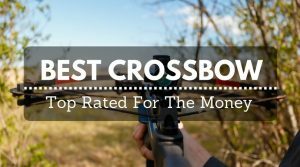 The best recurve bows for beginners need to have a few unique features. One of the most important is the price. Beginning archers are usually not sure if they want to keep with the hobby or not. This is why price is so important. There are bows that are low priced, around $100 and they can go up to prices over $700. A good quality bow is an investment, so beginners should set a budget and stick to it. Another feature that most beginner archers appreciate is the weight of the bow. Not just the actual weight, which should be no more than 3.5 pounds, but the draw weight of the bow. The draw weight is the amount of strength that will be required to shoot the arrow. New archers who are interested only in target practice can get away with a bow that has a draw weight under 40 pounds. This is because the arrow only needs to pierce the paper target. Beginning archers who plan to hunt with their recurve bows will need a draw weight heavier than 40 pounds. Piercing hide is more difficult and require more force out of the bow. If you plan to hunt with a bow, you can also use the bow for target practice. Beginning users also tend to like a bow that is easy to take apart and put together. These are called takedown bows. The limbs come apart from the riser, so they can be stored and transported in small spaces. Despite the fact that takedown bows are easy to transport and store, it does not mean that beginners have to buy one. They can also buy a bow that does not come apart. It all is a matter of preference and living conditions. If you live in small space without much storage, a take-down bow will probably make the most sense to you. If you plan to use your recurve bow for hunting, you will want to find one that can fit in a blind and can shoot quietly. It is also helpful to have a bow that can have a sight added to it. There are plenty of options available that are pre-drilled so accessories can be easily added. Some bows might even come with accessories. Along with accessories, rookie archers are also better off buying a bow that comes finished. There are some bows that are customizable, even down the finish of the wood. At this point in the hobby, new archers only need to worry about their techniques, not about how to make the bow look good. 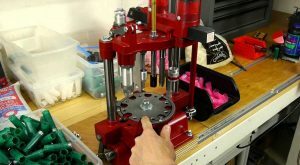 This is an affordable option from one of the most respected manufacturers in the industry. 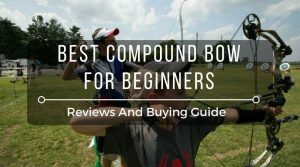 This bow is designed for beginners who are still learning techniques. The bow is 62-inches tall and can have varying draw weights, but most users choose the 55-pound draw weight so they can hunt and take target practice, too. The bow is made of hard maple and black fiberglass, so it looks good and is lightweight. The limbs are interchangeable, so if you want a heavier or lighter bow, you can stick with the same riser. This bow is quick and easy to takedown, so storage and set up takes little to no time at all. No gloves or special tools are required for assembly. It is an attractive bow that is obviously made with care. It shoots accurately, so it will feel like a more expensive bow. The bows does not have an design flaws, even the grip is ergonomically designed for the ultimate in comfort. Even though it is a bow designed for rookie archers, there are plenty of veteran shooters who keep this bow in their rotation because it is such a joy to shoot. The Samick Sage Takedown is a durable bow that will stand up to the beating that new archers tend to give to their tools. 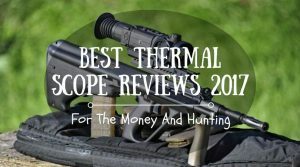 It can be used in any weather and still shoots with accuracy. It can be used all day without tiring out the new archer. It is hard to go wrong with this quality product. This is another highly affordable and popular option with new archers. Even though this bow does come with unfinished limbs and riser, people who have used it really enjoy shooting it. The only downside to the unfinished wood is that the bow can only be used in sunny and dry conditions, because wet weather would warp the wood. So, despite the low price, if you plan to use the bow in all weather, you will have to invest in finishing it. The Spirit Takedown is a lightweight bow that is perfect for younger archers and smaller adults. The bow is made of three different types of wood, making is very attractive right out of the box in its light yellow color. The bow is quiet and shoots accurately, which is really all anyone needs in a new bow. While the Martin Sage is easy to takedown without any problems, there are people who have experienced bolts stripping on the Spirit Takedown – so it is important to use caution when storing the bow and putting it back together. The draw weight is lighter – some come with draws as light as 22-pounds – than other bows, most likely because of its small size – so it is a better option for backyard target practice rather than hunting deer or squirrels. [imgb trackingid=”hunthacks-20″ asin=”B003BRBUPS” imgid=”41hs6-IKPiL” altimg=”PSE Razorback Recurve Bow Right Hand”]Content goes here[/imgb] Finally, the Razorback Recurve Bow is another choice that is sure to please. It, too, is a lightweight bow weighing in at only 2.2 pounds. It is the perfect size for young, preteen archers, as well as smaller adults who want something lightweight and effective. It comes with a variety of draw weights starting at 22 pounds and going up to 35 pounds, making it a good choice for target practice, too. This bow is attractively made out of three different types of wood. It comes pre-drilled so accessories are easy to add. The limbs are covered in fiberglass laminate, so there is a shine and protective quality to the bow. The best thing about the bow is the fact that it can be taken down without using any tools at all. Most takedown bows require the use of an Allen wrench, but not this bow. It also comes with a good warranty that lasts for three years as long as you get the bow restrung once per year. 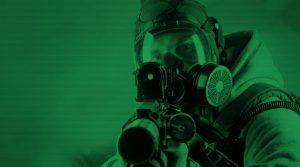 This affordable option is the perfect learning tool for beginners who are not looking for anything fancy because they are still trying to understand the nuances of hitting a target. 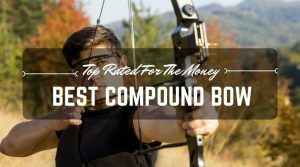 When it comes to beginners buying the best recurve bow, it is wise to find something that is extremely affordable. Most newbies are sure to do a little damage to their first bows, so it is a good idea to find one that is durable and low priced. Shooting a recurve bow should be comfortable and quiet. The arrows should release and go in a relatively straight line. These three bows will do what you want them to do because they are designed to be forgiving for the rookie archer. 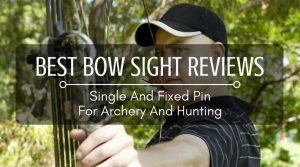 They are the perfect choice for beginning archers who want to perfect their techniques with bows that are designed for them. It is also helpful to read reviews, like the ones we provide a HuntHacks.com. We have tested out a variety of bows and put them to the durability test, too. This way we save you money in the long run. Not only do we invite you to read our advice, but to include yours, too.